It won’t be long and whitetail bucks will be shedding velvet and rubbing. 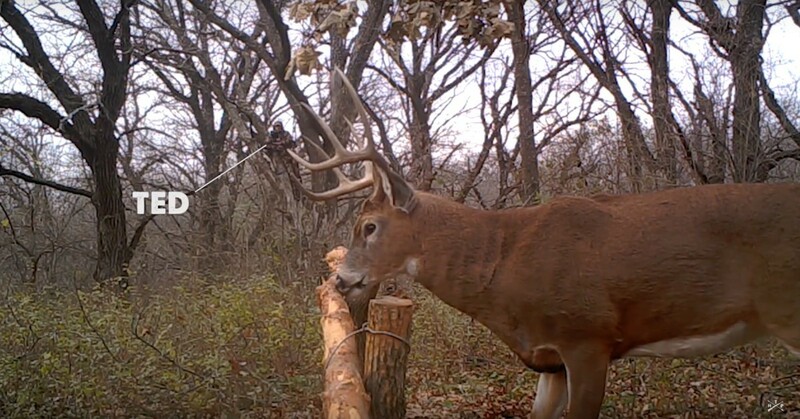 Here’s a rubbing posts trick for positioning a buck within bow range. Okay, I admit that this description sounds a bit mundane, but trust me ... what these guys lack in self-promotion and spin they make up for in spades when it comes to providing useful and innovative tips and techniques for killing mature bucks, on public and private ground. Check out the Facebook video below by co-hosts Aaron Warbritton and Zach Ferenbaugh as they describe The Hunting Public. Be sure to turn up the volume on the Facebook clip for best viewing. Then, be sure to check out the next video, which perfectly illustrates why I enjoy their team’s content so much. The clip below highlights Aaron and Zach’s friend Ted Miller, who has come up with an effective way of luring whitetail bucks into perfect shooting position by placing horizontal rubbing posts in the woods. I can’t wait to give this trick a try on my hunting ground in South Dakota and Wisconsin this fall. I’ll keep you posted on the results. As you can see by visiting their YouTube channel, The Hunting Public hosts post new videos every week. Not only will you be entertained, but you’ll learn valuable tips along the way, too. Kudos to Aaron, Zach and crew for sharing their whitetail knowledge with the masses. Good stuff.